Who doesn’t love the beach? The salt air cleanses us and the sun’s warmth embraces us. 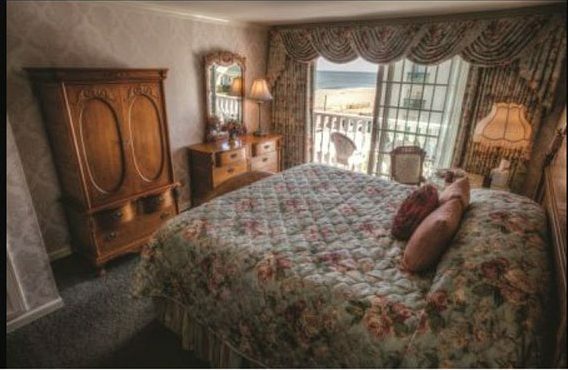 The ocean heals the heard, mind and soul – in Summer, Fall Winter and Spring, The Boardwalk Plaza is fortunate to call the ocean’s edge our home, and happy to offer you a unique and comfortable respite from the world, where you can truly get away from it all. From heavenly bedding to down-soft bath towels and robes to remarkable room service with a smile, we do everything possible – and then some – to make you feel truly pampered. For adults travelling without children, our keyed-access concierge level offers accommodation enhanced with genteel extras like evening turndown service, the daily newspaper, morning coffee in the garden [depending on the season], a later checkout time, and use of the private rooftop sundeck and spa. Our on-site restaurant, Victoria’s, offers fine dining in charming setting. Drink in the view of the Atlantic from every table, and enjoy outdoor dining on the boardwalk patio during the warmer months. Beyond breakfast, lunch and dinner, we serve a traditional Victorian afternoon tea. The Plaza Pub, an oceanfront lounge with a cozy walnut bar and inviting leather chairs, welcomes guests with a convivial atmosphere for cocktails and light fare. Say, “I do” with an ocean view! Stage your wedding celebrations with the Atlantic ocean as your backdrop at the elegant Boardwalk Plaza Hotel in Rehoboth Beach. This pink Victorian landmark hotel on the boardwalk is a perfect spot for everything from upscale bridal showers, brunches and luncheons to rehearsal dinners and intimate wedding receptions. The oceanfront Kent and Sussex Banqueting Halls offer a charming, comfortable setting that’s sure to make your guests feel appreciated – think white lace table overlays over your choice of table linens, candle-lit settings and elegant gold-rimmed charger plates. Choose from a mouthwatering array of event menus for as few as 20 guests or as many as 120, then let our sales and culinary team handle every detail with the AAA Four Diamond Award Winning service that makes every event relaxing and unique. 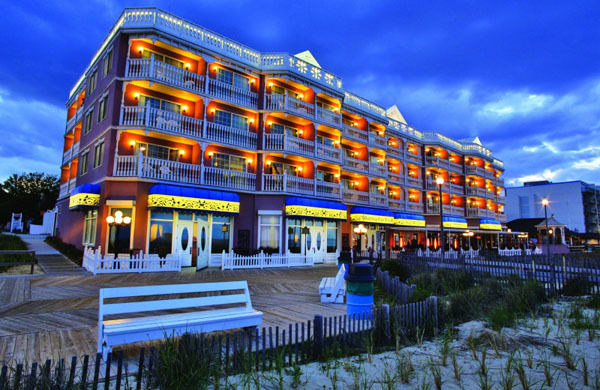 For added convenience, the Boardwalk Plaza Hotel also offers accommodations for wedding guests and honeymoon romance specials for the bride and groom!